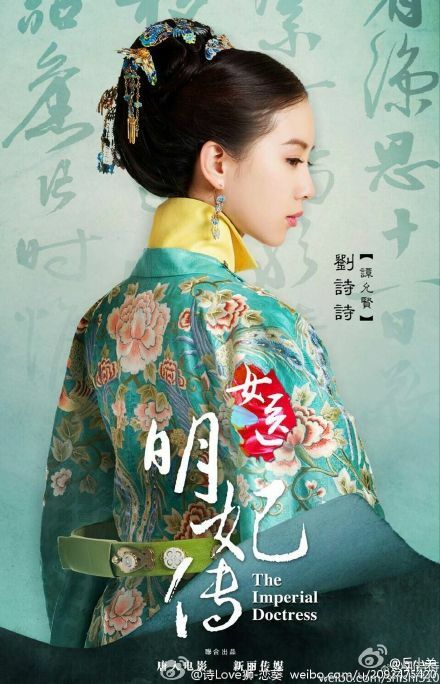 I am only guessing the ending because the real historical character Tan Yunxian did not marry emperor QiZhen. And based on rumours on this fictional drama, they didn't end up together although they do care for each other. We have to watch the drama to find out whether the ending conforms to the rumours. Good news: The Imperial Doctress is now licensed and available in the US and Canada regions, as well as for QCs worldwide. Broadcast frequency is 11 episodes per week after the local broadcast time, so add this channel to your favourites to stay updated. Thank you @yoonmi66 ! Best news...! Hi all, just marathoning this series yesterday so I can catch up on tv. I mean based on the opening and end credit, she gonna spend quite a lot of time in Mongolia ( and why this part kinda remind me of Legend of Mi Yue ), I hope they won't rush the storyline after what I feel somewhat dragging on earlier episodes. Is kinda refreshing though to see Wallace act kinda like his character on Perfect Couple but with a foul mouth but from Mr Wallace great acting (as always) we can see that he kinda put those act of being a foul mouth, not concern of his duty as an emperor things to cover up a big heartache. 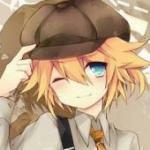 I bet Yun Xian will make him a better guy when the story progress. a guy with a red mark on his hand deceive Yun Xian to put some red powder into the medicine that her grandfather preparing for the concubine / empress ( forgot this detail ). And after her grandfather kill himself, the late emperor and empress dowager pardon the family to change their name completely and start a new life. Yun Xian's naive and reckless act of curing people around her nowadays make her father furious because he don't want his hardwork to start a new life just goes kaput once again and there is big possibility if anyone knows their real identity it gonna cost his and his mother (Yun Xian's grandmother) life too. His father still blaming Yun Xian for the death of Yun Xian's grandfather and brother. When the channel on viki was still a fan channel there were some episodes uploaded and little bit subbed, but now after the channel became official no episodes are there. @Kristina303, I watch live telecast on a link provided on WH Vietnam Facebook. Then I go back to viki to watch the subbed version since I do not understand Mandarin (just a wee wee wee bit). Re viki, I haven't tried opening it again but was told to use Explorer instead of Chrome (I use Chrome as my browser). I do not know why ID vid does not accept Chrome because I have been watching other vids with Chrome. Han Han posted a link to dailymotion on WH Facebook and I watched the first two eps from that link (because I did not know of the live telecast link before then). @BellyButton, I was also told to use Explorer, but it worked fine for me with Chrome, when they had the episodes there. I did not realize those episodes are going to be gone. Hopefully they'll be back soon. I"m watching this for Wallace Huo.. Hopefully he gets a happy ending!! Shi Shi so beautiful and elegant. yey... Viki uploaded episodes 1-5. Episode 1 is fully subbed. @thunderman1, I am also watching for Wallace Huo; But I also have to admit that the subject of Oriental medicine is close to my heart too. @irilight, maybe we all could learn some oriental herb/cures from this drama. I am interested in the powder thingie for the face. I do not understand the chinese characters but I bet it's gentle romantic Prince QiYu versus loudmouth ruffian Emperior QiZhen. Can't understand a single word in this comic. I still couldn't access viki. Not available in my region so cannot make much comments. Nice fanvid for Emperor QiZen. @BellyButton I try to translate for you. The wrong way to court a girl..
P.S. Wallace is so handsome! Love their costume. 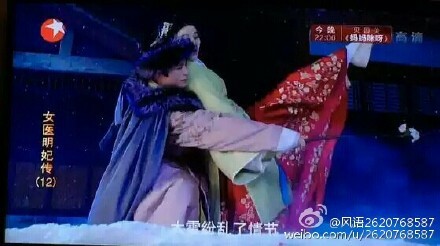 And actors are convincing..
My favorite snow dance scene in tonight's eps! @sugarista, I heard it is broadcasted Mon-Friday 2 eps/night and Sunday 1 ep/night. So it's 11 eps a week. This drama has 50 eps so it may conclude around end of March. 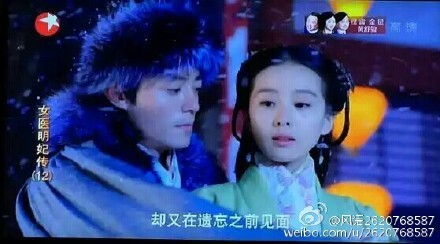 My favourite scene: Snow Dance - http://www.weibo.com/p/230444e02476f5e62b027d537332494d344a17 Romantic..
Yunxian and QiZhen are both young then. A young impetuous Emperor and a young naive Yunxian. The drama chronicles the three characters's lives from adolescent to middle age. Youth is pure like snow.